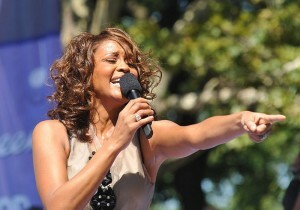 Singer and international celebrity Whitney Houston has been found dead in her hotel room in LA. Emergency services were called to the hotel at 15.43 PST and the singer was declared dead some ten minutes later at 15.55 PST. Lt Mark Rosen of the Beverly Hills Police Department said that attempts were made to resuscitate Houston by emergency staff. Houston was staying at the Beverley Hilton in Los Angeles ahead of tonight’s Grammy Awards, which she was due to attend. She is known as one of the most iconic singers of her generation, with the record sales for her first two albums alone totalling over 45 million worldwide. In more recent years, however, there was much media speculation over the impact her troubled 14 year marriage to Bobby Brown, and her subsequent drug abuse, had on her career. Tributes from fans and celebrities across the world are, however, focusing on the loss of the undoubted talent of one of the world’s best known singers. I’d like to think so too, but nowadays I’m not so sure. It has taken me 10 years of studying and doing my own therapy to strip down the layers of cultural grooming designed to get me to absorb and forgive men’s violence towards me. Am not so sure that you have self determination when you have been extensively groomed from a baby to blame yourself as a women for men’s violence, lies and cheating towards you if that’s what you encounter.